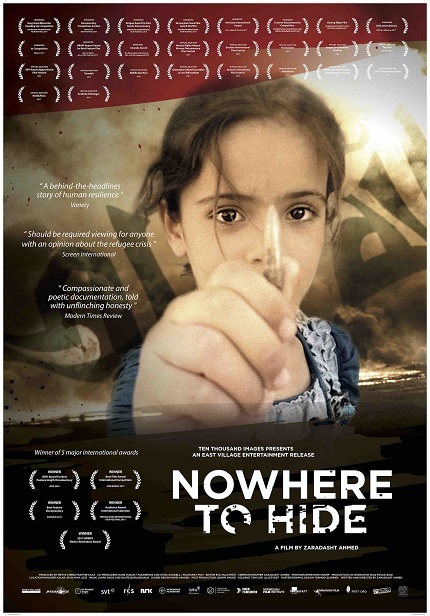 Canadian dates have been announced for the North American release of Zaradasht Ahmed's documentary Nowhere to Hide. The award winning documentary will open here in Toronto and in Vancouver on June 30th. We have included the trailer below. "My ambition is to let the audience reflect on the human consequences of a brutal reality where all taboos are violated. With Nowhere to Hide I want to show that we are all part of this reality - war, explosions, victims, terrorism, they affect us globally, and we are all responsible, despite our geographical whereabouts. Meanwhile, I want to show the human resistance that is growing among these survivors; to show the hope of rebuilding after the breakdown of civilization. In the end, as humans, the only thing that can help us survive is to believe that the will to build will always be stronger than the desire to destroy."